The kids have gone back to school and that means it is Toddler Time at the Kingsport Aquatic Center. Starting August 7th, toddlers and their parents can enjoy the outdoor toddler play area all to themselves. Toddler Time is a great way to spend time with your toddler and introduce them to playing in the water! Toddler Time will take place on Tuesdays and Thursdays from August 7th to September 20th. From 10:30 a.m. to 12:30 p.m., the outdoor water park will be closed off to the public, and the toddler play area will be opened up to toddlers and their parents. Toddler Time is designed for children ages 2 – 5 yrs. old. Toddler Time is $3 per person for non-members, free for toddlers ages 2 and younger and free for KAC and Kingsport YMCA members. 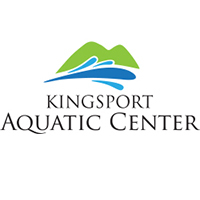 For more information, visit www.swimkingsport.com or call the Kingsport Aquatic Center at 423-343-9758.